Ellick Kin-fai Wong and Jessica Yuk-yee Kwong (Forthcoming), “Resolving the Judgment and Decision Making Paradox between Adaptive Learning and Escalation of Commitment,” Management Science. Z. T. Huang and Jessica Yuk-yee Kwong (Forthcoming), “Illusion of Variety: Lower Readability Enhances Perceived Variety,” International Journal of Research in Marketing. Jessica Yuk-yee Kwong and Ellick Kin-fai Wong (2014), “Reducing and Exaggerating Escalation of Commitment by Option Partitioning,” Journal of Applied Psychology, 99(4), 697-712. Jessica Yuk-yee Kwong, Ellick Kin-fai Wong, and Suki K. Y. Tang (2013), “Comparing Predicted and Actual Affective Responses to Process versus Outcome: An Emotion-as-feedback Perspective,” Cognition, 129(1), 42-50. 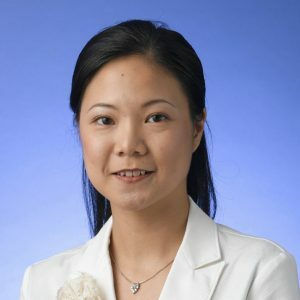 Jessica Yuk-yee Kwong, Dilip Soman, and Candy Ho (2011), “The Role of Computational Ease on the Decision to Spend Loyalty Program Points,” Journal of Consumer Psychology, 21, 146-156. Xiaoye May Wang, Ellick Kin-fai Wong, and Jessica Yuk-yee Kwong (2010), “The Roles of Rater Goals and Ratee Performance Levels in the Distortion of Performance Rating,” Journal of Applied Psychology, 95(3), 546-561. Ellick Kin-fai Wong and Jessica Yuk-yee Kwong (2007), “The Role of Anticipated Regret in Escalation of Commitment,” Journal of Applied Psychology, 92(2), 545-554. Ellick Kin-fai Wong and Jessica Yuk-yee Kwong (2007), “Effects of Rater Goals on Rating Patterns in Performance Evaluation: Evidence from an Experimental Field Study,” Journal of Applied Psychology, 92(2), 577-585. Jessica Yuk-yee Kwong and Kin-fai Ellick Wong (2006), “The Role of Ratio Differences in the Framing of Numerical Information,” International Journal of Research in Marketing, 23, 385-394. Ellick Kin-fai Wong, Michelle S.M. Yik, and Jessica Yuk-yee Kwong (2006), “Understanding the Emotional Aspects of Commitment: The Role of Negative Affect,” Journal of Applied Psychology, 91(2), 282-297. Ellick Kin-fai Wong and Jessica Yuk-yee Kwong (2005), “Between-individual Comparisons in Performance Evaluation: A Prospect Theory Approach,” Journal of Applied Psychology, 90(2), 284-294. Ellick Kin-fai Wong and Jessica Yuk-yee Kwong (2005), “Comparing Two Tiny Giants or Two Huge Dwarfs? Preference Reversals Owing to Number Size Framing,” Organizational Behavior and Human Decision Processes, 98(1), 54-65. Jessica Yuk-yee Kwong and Hamilton V. Lee (2004), “Retrospective Reports of Organisational Commitment after Russian Military Downsizing,” Applied Cognitive Psychology, 18(6), 669-681. Kwok Leung and Jessica Yuk-yee Kwong (2003), “Human Resource Management Practices in International Joint Ventures in Mainland China: A Justice Analysis,” Human Resource Management Review, 13, 85-105. Jessica Yuk-yee Kwong (2003), “Personality Characteristics of Chinese Hotel Managers,” Journal of Psychology in Chinese Societies, 4(1), 29-41. Jessica Yuk-yee Kwong and Fanny Mui-ching Cheung (2003), “Prediction of Performance Facets Using Specific Personality Traits in the Chinese Context,” Journal of Vocational Behaviour, 63, 99-110. Jessica Yuk-yee Kwong and Kwok Leung (2002), “A Moderator of the Interaction Effect of Procedural Justice and Outcome Favorability: Importance of the relationship,” Organizational Behavior and Human Decision Processes, 87(2), 278-299. Ellick Kin-fai Wong and Jessica Yuk-yee Kwong (2000), “Is 7300m Equal to 7.3km? Same Semantics But Different Anchoring Effects,” Organizational Behavior and Human Decision Processes, 82(2), 314-333.